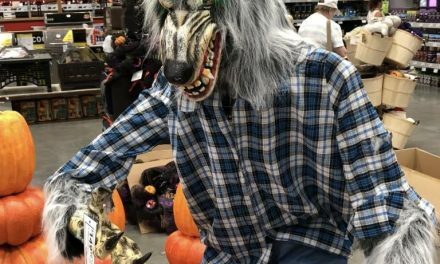 The haunt world has descended upon St. Louis for the TransWorld’s Halloween & Attraction Show this week to see the latest and greatest in Halloween apparel, props, masks and anything else that is creepy. We all got a sneak peek in January at HauntCon in New Orleans but Transworld is always where everyone comes out to show what is new for 2018. One thing has stood out over all the other new and creepy stuff in St. Louis. It’s a new twist on an old favorite; Pennywise The Dancing Clown. Unit 70 has put their twist on Georgie and Pennywise and it’s what everyone is talking about on Youtube, Twitter, Snapchat and Instagram at Transworld this year. Check out the video from St. Louis below. My God, that is terrifying. Imagine being a kid walking up to your house on Halloween when all of the sudden a light comes on and you see Pennywise eating Georgie right in front of you. They’d run away screaming and might even drop all of their candy. Details on the Unit 70 Pennywise are scarce. I’ve reached out to Unit 70 Studios on two occasions but haven’t heard back. The animatronic prop looks to be approximately ten feet tall but I don’t know for sure. I don’t know if the prop is for sale or is just a prototype or something special Unit 70 came up with just for Transworld. 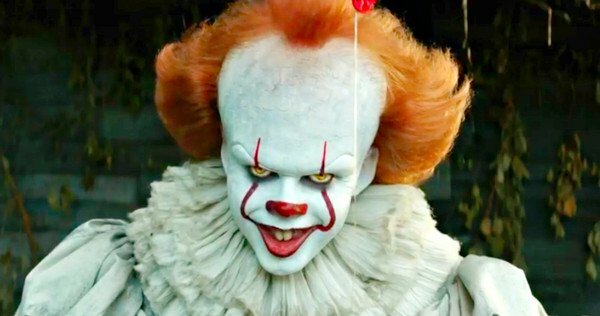 The Pennywise prop is not listed on Unit 70’s website. I would think if the prop was going to be sold they would have it listed before going to St. Louis but that is purely speculation. 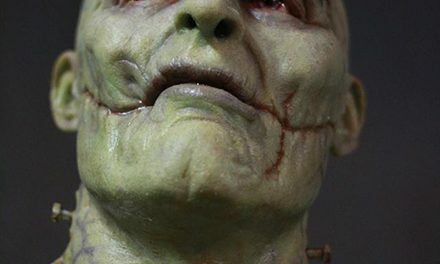 Unit 70 Studios makes high quality props used in haunted houses all over the country and they can get expensive. 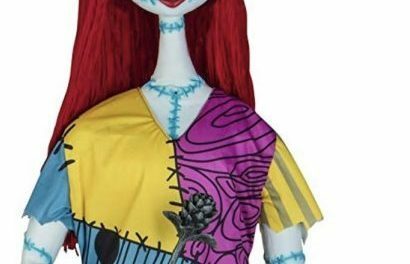 Their stuff isn’t what you see at big box Halloween stores like Spirit Halloween and Halloween Express in September and October. Their animated props cost $2,000 on the low end and can go over $10,000 if you really want something big that will make an impression. 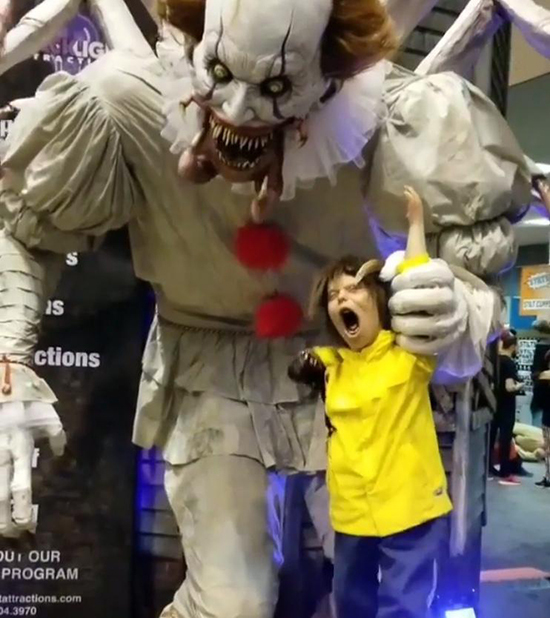 I imagine their Pennywise animated prop that is on display at Transworld in St. Louis will be on the higher end and be closer to ten grand than some of their smaller props that only cost a few thousand. Like I said, this is all speculation and I hope to get in touch with someone at Unit 70 Studios when the get back from Transworld and they have some time to return phone calls and answer emails. But if this prop is for sale I imagine you will see him at the best haunted houses later this year.